Click to get your FREE copy of the first issue! It’s the new magazine of art, science, history, and culture. A high-quality quarterly for an audience that drives a $698 billion marketplace. 100+ pages. Spectacular art and photography. Stunning design. Amazing stories. Prestige audience. After all, we’re talking the world of museums. Civilization’s pinnacle achievements. Brilliant, genius, travel-a-thousand-miles-to-see stuff. Curated by some of the best, most creative minds on Earth. So popular, museums attract more visitors each year than all the fans attending games of baseball and football and basketball. Combined. 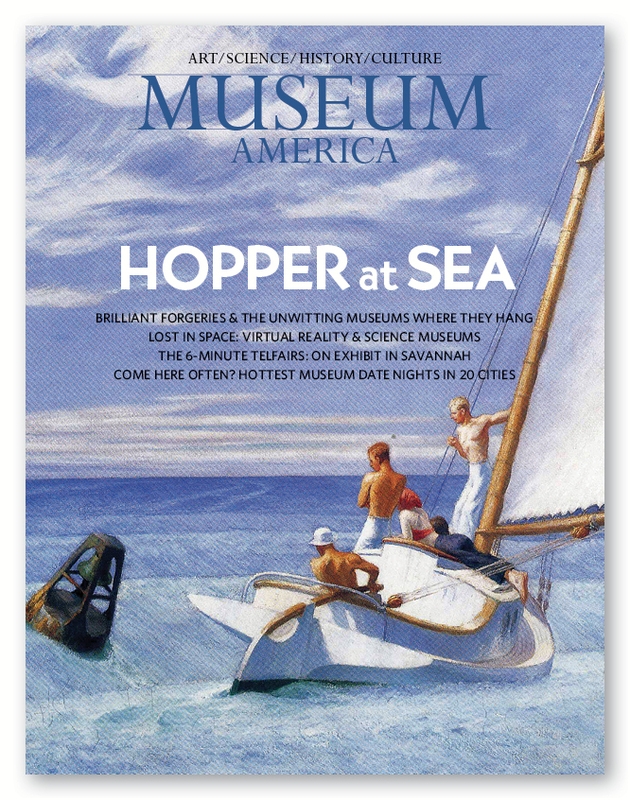 And now Museum America captures that excitement in a truly remarkable magazine like no other. $10 a copy. $25 a year. Delivered to 25,000 guaranteed qualified readers. Those 25,000 readers? They don’t pay to receive the Museum America. It’s given to them free—compliments of the museums that advertise in the magazine. 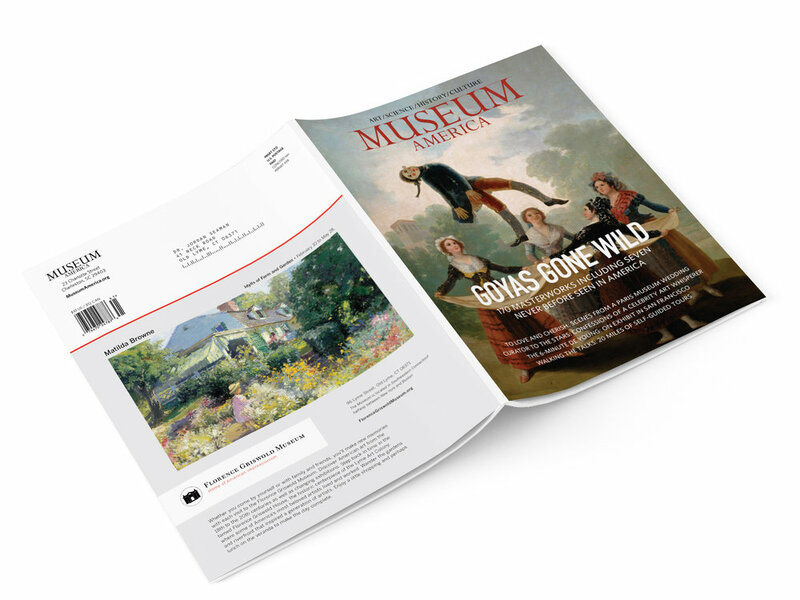 You get to curate the distribution of 500 copies of the magazine into your museum’s local market. You choose your own audience. You handpick who receives delivery of Museum America in your area. That advantage comes with your ad. Included in the price. That’s all it costs to run a full-page color ad in Museum America. Still with me? This presents some intriguing possibilities—no? You can use Museum America to attract new visitors and build more attendance. Or make it a benefit of joining your museum and a reward for members who increase their support. Or reach out to those elusive influentials and pivotal millennials you’d really like to engage with your mission. Like Mrs. Astor, you personally select who’s on the guest list. And all it takes is one ad. Of course the same goes for the other museums with ads in Museum America. Which means, together, you and your colleagues custom-build—and exclusively share—a rather sizable, extremely desirable audience of museum lovers across America. 25,000—plus friends and families. High net worth folks with enviable discretionary income who enjoy what Museum America uniquely offers. As you might expect, these extremely discerning, very appreciative readers respond quite favorably to receiving Musuem America. They show up at exhibitions and events. Make museums the center of their travel. Buy gifts. Donate money. Sponsor programs. Bequeath estates. Which makes Museum America something of a minor miracle of marketing. 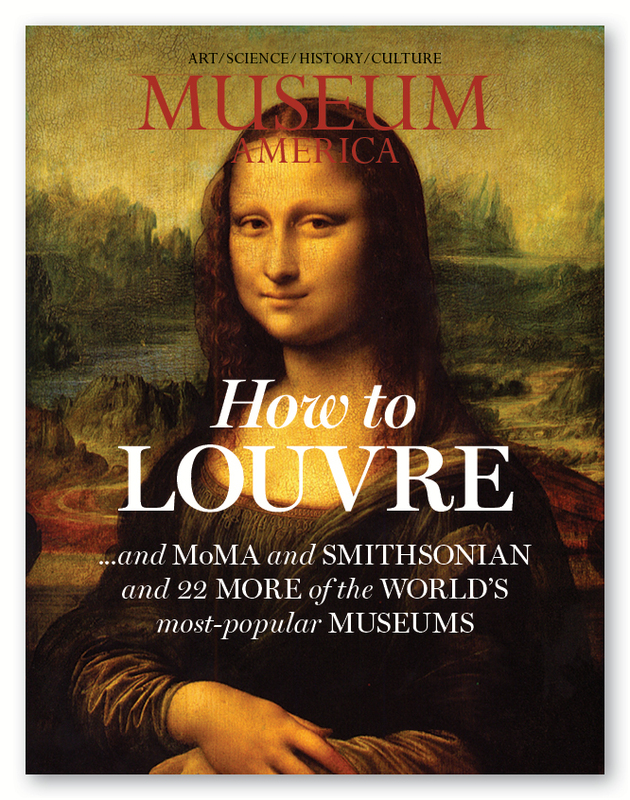 A magazine that suddenly levels the playing field in the world of museums. Delivering a local audience eager to visit your exhibitions and attend your events. Plus a national audience delighted to discover your museum and share its story. So now you don’t have to be a Smithsonian to have a magazine that builds your brand. You don’t need to be a MoMA to attract thousands of shoppers to your museum store. Your ad in Museum America does it all for you. And if your museum doesn’t have an ad, we’ll create one for you. Gratis. Interested? Let’s get you on the Museum America Invitation List. A click is not a commitment to buy anything. It simply puts you on the list of museums that will be given the first opportunity to reserve ad space in the inaugural issue. It places you high on the list. There are 50 availabilities. Once we have 50 signed up, I’ll contact you to see if you’d like to go ahead. And while we gather our 50 musuems, we’ll be in touch with the details about how to curate your local audience. Or, if you wish, how we do that for you. Again, no cost. And no obligation. Just a chance to reserve your place. Are there more specifics I can provide before you add your name to the list? Museum America’s editorial blueprint? Here. Audience? Here. Other ad sizes and rates? Certainly. Specs? Done. Insertion order? Absolutely! We’re ready to make this happen and I’d love to have you join us. The premiere issue is coming soon. So sign up now and take your rightful place in Museum America. There is no cost or obligation. Signing up simply gives your museum advance notice and the first opportunity to advertise in the inaugural issue of Museum America. Would you like a free copy of the first issue? Thank you. You’re on the list! We’ll contact you by email to confirm and follow-up with full details. Again, there is no cost or obligation of any kind. Special announcement: Museum America is building a Board of Advisors. Should you be invited? Learn more and RSVP here.